From our quality controls to the relationships we have with our growers and suppliers, we are committed to responsible, sustainable practices extending to every facet of our business. In our factories, our sustainability process drives decreased energy consumption by installing new technologies and more efficient equipment while optimizing business and manufacturing processes. Kraft Heinz also works with experts in the energy sector to assess facilities and identify potential energy-saving projects. The objective of these efforts is to identify and initiate opportunities to improve energy efficiency, which in turn can directly and indirectly help reduce greenhouse gas emissions. We recognize that using less energy is not only better for the environment, it is smart business because it can help mitigate the financial impact of rising energy costs. Every stage of our operations presents an opportunity to eliminate waste. We have been focused on finding ways to reduce, reuse or recycle to divert solid waste from landfills. Water is a vital resource for all Company operations worldwide. 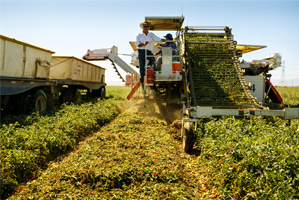 It is needed to grow tomatoes and many other crops key to our business. It is a crucial resource for the manufacturing process. We have implemented water conservation measures and evaluations globally to protect one of our earth’s most precious resources. We conserve water across a wide range of actions extending from recycling water and installing new technologies to upgrading water treatment plants. Kraft Heinz also recognizes that our growers and our manufacturing operations impact the plant and the consumption of water and energy. We encourage the adoption of drip irrigation, for example, in tomato growing because it delivers the precise amount of water the crop needs, when it needs it, where it needs it, thus minimizing irrigation waste. Given its efficiency and versatility, global demand for palm oil has more than doubled in the last ten years, and this exceptional growth has brought economic and employment benefits for millions of palm oil producers. However, it has also elevated unprecedented threats to the forests, wildlife and people in areas where the crop is grown, and we share the industry’s collective concern around these social and environmental risks. 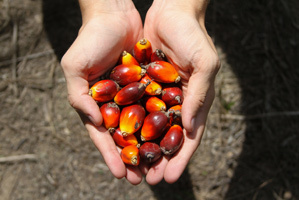 To ensure our purchases do not contribute to deforestation, loss of biodiversity or social issues such as forced and child labor and human trafficking, Kraft Heinz seeks to procure palm oil products in an ethical, transparent, responsible and sustainable manner. Although we use only a small amount of palm oil globally, we are committed to ensuring that 100 percent of our palm oil is sourced according to responsible and sustainable practices. Kraft Heinz is an active member of the Roundtable on Sustainable Palm Oil (RSPO) and has recently partnered with the Rainforest Alliance – an international nonprofit organization dedicated to conserving biodiversity and ensuring sustainable livelihoods – to support us in the implementation of our sustainable palm oil sourcing policy. Click here (PDF) to view the Kraft Heinz policy in its entirety. At Kraft Heinz, we believe it’s important for consumers to feel good about the products they buy from us. Like many of you, we care about the wellbeing of animals raised for food, and will always prioritize their humane treatment. Although we do not own and operate farms, we expect our suppliers to adhere to certain standards and treat animals with care, understanding and respect. 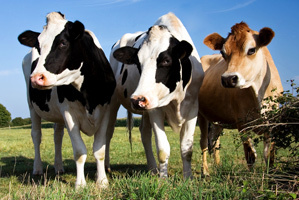 In support of the Five Freedoms of animal welfare, we require our suppliers to have a zero tolerance policy for willful acts of animal abuse and neglect. Abuse of animals is illegal and we expect our suppliers to treat it as such. We are committed to continually assessing and expanding our animal welfare efforts and identifying opportunities to improve. We know there is growing interest in the way production animals are raised, and consumers are concerned whether current practices match their values and expectations. To help consumers, we will be transparent about practices within our supply chain and report on progress made toward our commitments. © 2016 The Kraft Heinz Company. All rights reserved.